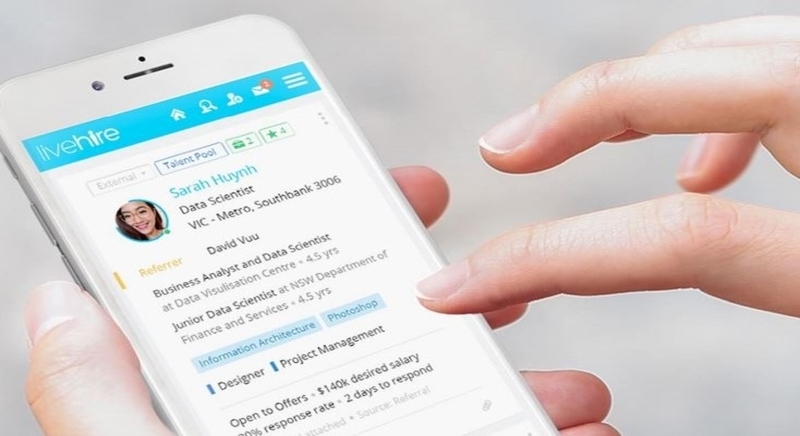 LiveHire (ASX: LVH) is a technology recruitment company offering a “cloud-based HR productivity tool”. The LiveHire platform is designed for small to large enterprises to source and recruit “talent on demand”. ‘Talent Communities’ help create engaging networks between candidates and employers. LVH listed in June 2016 after raising $10m via IPO at $0.20 per share. The stock recorded an all-time low of $0.10 in August 2016 and an all-time high of $0.59 earlier this month. The business has also announced the uptake of its technology across numerous sectors by high profile clients including Telstra Health, Bupa, General Pants Co and many more. In late March, LiveHire raised $12.5m via placement of 28.5m shares at $0.44. Morgans recently increased its target price for LVH from $0.55 to $0.64. The broker highlights that LVH was previously restricted in its ability to satisfy a surge in customer queries. The analyst suggests capital raised will be invested in sales, marketing, customer service, and technology initiatives – all to strengthen and hasten the company’s ability to attain new clients. With client growth to be driven by increased expenditure, Morgans has lowered its prior earnings guidance for FY18 and FY19. EBITDA forecasts now represent -$5.3m (loss) and $0.9mrespectively. This is revised from-$3.2m (loss) and $1.4m. Morgans has raised revenue and earnings forecasts for FY20 and FY21. EBITDA is now expected to be $8.1m and $18.2m respectively – compared with prior forecasts of $6.6m and $14.4m. Morgans believe LiveHire’s revenue will grow from $1.4m in FY17, to $45m in FY21. The broker retains an “Add” recommendation. The $0.64 price target represents 23.1% upside from Tuesday’s closing price, and 220% upside from the company’s IPO price.